Dubai, UAE, October 03, 2018: Nothing screams chic more than the beautiful and elegant prints of florals on your outfit and Springfield have an impressive range of floral pieces absolutely perfect for the season! 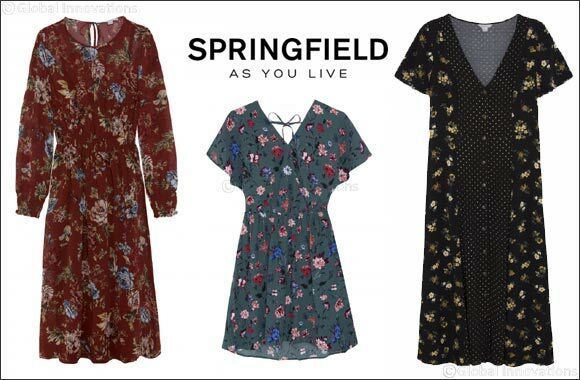 From dresses and skirts to tops and causal blazers, Springfield has on offer a variety of floral pieces which means you can not only choose your ideal look, but mix and match for any occasion, from a casual day out at the beach to a formal affair. Bright, earthy tones of bottle green, maroon and white come together to create looks that are both strong and feminine, these floral pieces will keep you cool, chic and on trend. The collection is now available across all Springfield stores in the UAE. Sharjah– Sahara Center, Sharjah City Center &Matajer.